Alexander (population approximately 200) is located in central Illinois about 20 miles west of Springfield. Alexander sits on Illinois Route 123 about a mile south of Interstate Highway 72. The Norfolk & Western Railroad travels through Alexander. The town was platted in 1857 and named after a gentleman named John Alexander. It sits in the east-central area of Morgan County. "At least during the 1940's the Alexander High School was a 3 year high school. Students wanting to graduate from a 4 year high school would transfer for their senior year to either Franklin High School or Jacksonville High School." 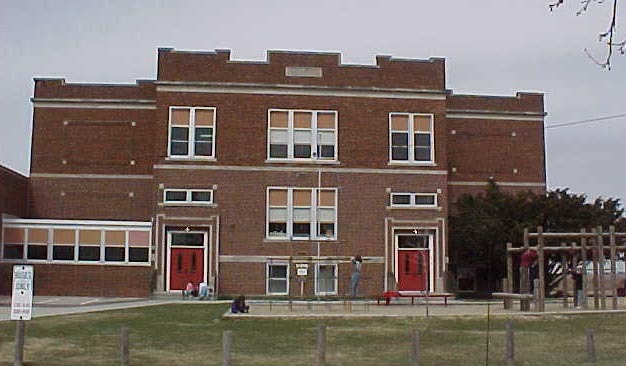 Alexander High School was annexed with its nearby neighbor Franklin High School in the Fall of 1951. The high school-aged students of Alexander began attending Franklin High School at that point, and continue to do so to this day. "In 1951 the Alexander eighth grade school graduating class was merged with the Franklin grade school graduating class due to the fact that the Alexander High School was being closed and the students would start high school at Franklin in the fall. It is at that time I met many of the people who would be my classmates in high school. There were 44 total graduates in the class, 25 were from Franklin, a few from Nortonville, which was the other school in the consolidation. It has been more than 50 years now and we became a class in every sense of the word. Being a rural community most of the students rode school buses, so the Alexander (and Nortonville) people did not stand out as being "away from here"." Happily, the school building in Alexander is still in use. All of the students in the Franklin District attend grades 2 - 5 in Alexander with K - 1 and 6 - 12 being held in Franklin. We are seeking a lot of assistance here. It is probable that basketball, baseball, and track were all offered tot he boys of Alexander High School. There is no mention of the school on the IHSA website however that we could find (www.ihsa.org). If you have ANY information regarding the school and sports it may have competed in please contact us.